I often tell new writers they should be prepared to summarize their story in a few short sentences. 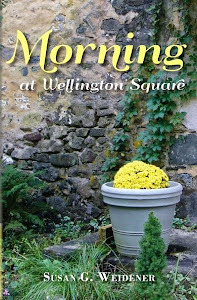 And so, I need to take my own advice and describe my new memoir, Morning At Wellington Square. Morning at Wellington Square is the story of a modern woman who is daughter, wife, mother, widow and reporter for a major city newspaper. 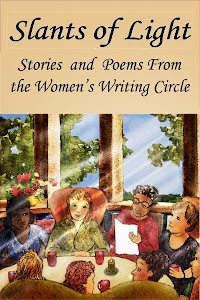 Searching for herself beyond these roles, she journeys from Kentucky countryside to the Arizona desert and finally back home to a bookstore called Wellington Square to find passion, renewal and magic in her life. And so I offer up for your reading pleasure an excerpt . . . my last day at The Philadelphia Inquirer. Endings are always worth writing about because inevitably they lead to new beginnings. "In the summer of 2006, I left The Philadelphia Inquirer. Circumstances and events had come together; perhaps I should say they had collided. For me, it was time to move on. No one was in the newsroom the day I packed up to leave. It was a Saturday. The paper no longer kept a police reporter in the bureau on weekends to listen to the scanner. I had done that, working many Saturdays, covering a fire or, in one memorable instance, a police stake-out of an escaped convict hiding in the cornfields of southern Chester County. As I was clearing off my desk, I remembered the excitement of that day in August 1999. Suddenly, I was back in that town, waiting for the police to make a statement as they closed in on the escapee, a convicted murderer. Reporters from newspapers, radio and television gathered with notebooks and microphones in the town near the Maryland-Pennsylvania border as a cool, steady drizzle fell. I ran into a family-run restaurant and hastily dropped coins into the pay phone booth to call my editor in downtown Philly. As I phoned in details and updates – giving “color” to the story - I could hear my editor at the other end rapidly typing. In my mind’s eye, I could see him turning my descriptions of the rain and cornfields, the helicopters and tracking dogs, into professional prose that would be read by thousands of people the next day. I came back to the present. I looked around the newsroom, wanting to indelibly print on my mind the countless memories and scenes that had been my daily routine . . . my woman’s career . . . of so many days of my life. The gigantic black and white map of Chester County with its 73 townships and boroughs . . . “almost as big as Texas” . . . tacked above the gray stainless steel filing cabinets. The unadorned floor-to-ceiling windows providing an unfettered view of sky and the tulip poplar trees; the ladies dress shop on the street below. I cleared off my desk, packed up cartons, photographs of the boys, old spiral reporter’s notebooks penciled with scrawled notes from interviews. So many reminders of my spent energy and the concentration I had devoted to every minute of this journalist’s business. Hard work, yes, and I had loved every minute and every personality I had met along the way. Sadly, the last year of my career there, things became muddled, fragmented. That’s when I could no longer ignore the disagreements and frictions, the feeling of being discarded. Manila file folders bulging with “clips” – those stories I had written which successfully ran in all of the paper’s sections from suburban centerpieces and front page stories, to features in the real estate and lifestyle sections. I heaved, pitched, tossed . . . threw some in the cartons. One last time . 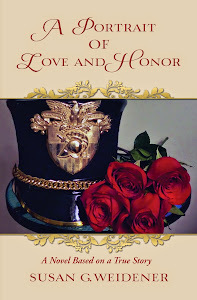 . . after sixteen years, I looked around at the room that had been my home-away-from-home. And I heard the voices of the editors I had worked with. I listened to myself interviewing and questioning township supervisors, high-stakes developers; taking calls from the copy desk with last-minute questions; grumbling with the other reporters about anything and everything because that’s what reporters do – we complain about deadlines and unrealistic expectations of editors, of sources who dry up, of people who give you a long interview and then at the end tell you the whole thing was off the record. For most of my career I wore “reporter” as a badge of honor. Whether it was uncovering scandal or helping law enforcement apprehend a criminal, the mission, the assignment, carried with it the expected deadline, but always the hope, the optimism for a scoop. In many ways we became a “family” outside of spouses, children and parents. We knew each other’s bylines like our own. It could never be just a job. It was a calling like a religious life. Those who didn’t work at it, do it, could never understand. The adrenaline rush of finishing the story and then seeing it in print the next day, only inspired and made us want to get up and do it all over again. I learned skills, I gained confidence, I wrote stories . . . things that had a beginning, middle and an end. It gave me a sense of accomplishment. I never regretted a day of being in the “media,” as it has sadly and scornfully started to be called. I learned the economy of words and how to tell a story. I had been paid to do what I loved most – write. As John once said, “We had a good ride.” He was talking about our marriage. Somehow, it also applied to my career. Leaving the newspaper felt like a divorce, like a death. It had been a bumpy ride, for sure, but mostly a good ride. I was determined to move forward and to make a new start. I struggled not to look back." I like the sound and sense of your prose. It echoes a bit of the "hard-boiled reporter" somehow as you tell of your departure. 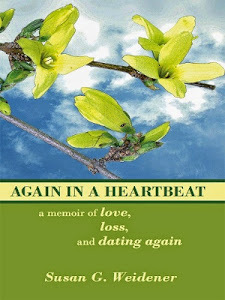 I am looking forward to reading "Memoir"
Many thanks, "Writing Coach" and Jacquie for reading this excerpt. I'm glad to hear you like the sound of it and want to read more.